working as a musician in Italy, Israel, Germany, US, Canada and the UK. She brings into her musical activity her vast knowledge of a trained classic singer, years of experience as a voice teacher and as a pianist. She founded four choirs: the women's choir; Anashim Choir (Sardinia, Italy), the Internationals Choir, a students' choir in the University of British Columbia, and the JCC Vocal Ensemble (both in Vancouver, Canada) and after her move to the UK in 2015, she started the Jewish Choir in Wimbledon (London), specialising in Israeli composers and arrangers. She is also the current artistic director of the Larkhill Choral Society, Salisbury. Besides her work as a conductor and a music teacher She occasionally writes her own arrangements for her groups, adapting them to the unique voices abilities and formations. "The evening was framed with songs performed by the Israeli Sardinian English choral conductor, Sarit Aloni. Her songs were deep rooted and universal, linking ancient cultures and modern interpretations, a lone voice on stage with a piano who brought the whole room together. One of my students, a Yemeni poet, called her “an angel opera voice." Reviewing Between Two Worlds - Exiled Writers Reading event, 3rd September 2018, Poetry Cafe at Covent Garden, London. "Larkhill Choral Society (LCS) advertised for a new Musical Director in early June 2015. We selected her from seven applicants for audition in July 2015 following which LCS unanimously agreed to select her as our new MD. Sarit has now been our MD for over two years and has demonstrated her ability and passion to improve our vocal skills as a bedrock for choral singing. She is clearly an extremely talented singer and pianist. She is also very hard working, has an engaging personality and shows great determination in raising our choral singing standards. She sets a high standard and expects us to rise to it. When we struggle she does not give up and invariably her perseverance shows through and we achieve the standard that she seeks. Unsurprisingly this young family woman is very conversant with modern and current IT and uses this media to help communicate with us. She has very ably built us a new website since our old one was not fit for purpose, enthusiastically keeps it up to date and manages its day to day running. Her communications and administrative skills are excellent and she responds very promptly to routine choral society business. I have been surprised how near fluent she is in the English language both written and oral. She has no difficulty in engaging with us during rehearsals and communicating her wishes. She is sensitive to our feelings and emotions and very keen to get to know us all as individuals and our strengths and weaknesses when singing within a group. Over the past two years she has shepherded us through three six successful concerts – Mozart’s Missa Brevis, Frostiana that included Durufle’s Quatre Motets, a selection of songs by Ola Gjeillo and Moses Hogan, a Jazz and Barbershop concert, Schubert Mass in C and carols, Handel’s Coronation anthems and supporting songs and finally a very successful concert this summer featuring South American music which was totally new music to our choir. Overall, we have been very impressed with Sarit, her musical skills and the warm and engaging way in which she gets to know us. She has a wide and deep knowledge of many different types of music such as classical, folk and country songs, medieval and Gregorian chants, American spiritual, Jazz and Barbershop and South American music. She is an excellent teacher and is very skilful in encouraging us when we encounter unfamiliar music or difficult passages during rehearsals. She brings out the best in us and the proof is in the six very successful concerts she has generated for us in the past two years. In sum she is an excellent and extremely capable teacher. We look forward to this very talented young woman being our Musical Director for a considerable time to come. Chairman Larkhill Choral Society 15 Oct 17"
Sarit, is above all passionate about music. This comes across in her role as musical director of our choral society. She is not content with anything less than our best possible effort. She strives for continuous improvement in our technical as well as musical performance. On a personal note, my singing has improved significantly following lessons with Sarit. I strongly recommend Sarit Aloni. Sarit is marvellous - she is patient, sympathetic, creative in her teaching methods but with the right measure of sternness. I came to her with the improbable goal of learning the bass part ( I can't properly read music!) of a 40-minute Handel choral work. i made it in about 6 lessons! Highly recommended. I found Sarit to be a highly effective singing teacher for my 11yo daughter. Sarit was immediately aware of the tuition needed in order to raise my daughter's ability and each lesson was well-structured with clear direction about what needed to be practiced before the next lesson. As well as a talented professional, Sarit is also a very personable instructor that makes you feel relaxed and will develop the latent talent in the student. I would not hesitate to recommend her. I had the pleasure of taking private voice lessons from Sarit Aloni. My main goal was to improve my delivery of presentations to my clients. I found Sarit’s lessons to be extremely beneficial. She is very knowledgeable and highly skilled at what she does. Being my instructor and coach, Sarit impressed me with the multitude of skills and practical tools to help me improve my voice. I work as a speaker and workshop leader, and I am quite confident about my subject matter. But Sarit’s feedback has helped me make my delivery stronger, more interesting and engaging, and more effective. With the tools Sarit has taught me, I am able to maintain a better posture, breathe better, and project my voice well without straining my vocal cords. Besides her substantial knowledge, her very relevant experience, and her diverse set of practical tools, Sarit also possesses additional and significant attributes. As an instructor and coach, she is exceptionally patient and persistent (keeping track of areas where I was not moving forward and later finding opportunities to discuss them again), uncompromising (always demanding excellence and never settling for substandard performance), and genuinely committed to my success and to providing me with full value from her coaching sessions (even when I was getting discouraged and ready to give up). In my opinion, Sarit Aloni is a master of her craft, and I would highly recommend her for any assignment within her fields of expertise. "Our daughter Lulu took piano lessons with Sarit for about a year. Lulu had no formal previous training on piano. With Sarit's teaching, Lulu learned not only how to play short piano pieces but also how to read music, identify rhythms and play with expression. We were very happy with Sarit's discipline and diligence with Lulu in getting her to play accurately and lyrically. We strongly recommend Sarit as a piano teacher. " "I had the pleasure of working with Sarit as a member of the UBC Chamber Choir. Highly disciplined and austere in the musical goals to be achieved, she demonstrates profound understanding of the choir as a medium and the needs of the singers. A combination of experience, musicality, and desire for the ensemble's success makes her a unique and attentive conductor. It was a delight to sing under Saint's direction!" "Sarit is a wonderful teacher and helped our young son develop a passion for playing the piano. He really enjoyed his lessons and Sarit motivated him to practice every day to do his best. We also appreciate how Sarit put a focus on the family and was always willing to accommodate our needs. Thank you Sarit!" "My name is Alejandra and I participated in the Internationals choir with Sarit for two years. It was a great experience. I felt my singing improved a lot, as well as my musical understanding. Sarit is a critical person who shares her knowledge and pushes you to improve. One of the things that I like the most was the repertoire she brought, including interesting rhythms and songs from different parts of the world"
"Sarit has a nice mixture of a good ear for pitch and tone, strong rhythm, natural musical sense and creative musical ideas. She is excellent at spotting problems with pitch, rhythm, and pronunciation, then correcting them. I found her knowledge of various languages and music theory very extensive. It was enjoyable when she would share snippets of composers methodology, and the pieces' history. She was also very good at explaining the intention behind the music and motivating the group to embody it. Overall I found her very experienced, and hard working. It was a joy to be under her direction." "Since studying with Sarit, I have seen my vocal health and ability increase greatly in just a short time. Sarit teaches the most essential techniques for singing, and packs every lesson with incredible knowledge about vocal training and performance. She is a joy to work with and is extremely motivating every time I see her. I am training to be a singer-songwriter and with her advice I have made many strides forward in my journey. I feel empowered not only with the tools and techniques to sing well, but also to become a well-rounded performer and artist. I am happy to recommend her to anyone looking for a professional vocal coach." Sarit Aloni has been the newly-appointed Artistic Director for Vivaldi Chamber Choir in Vancouver BC, Canada since September, 2014. Sadly, Sarit will finish her employment with our choir at the end of this season...June, 2015. She and her husband and children will be leaving Canada, moving closer to their families (in Israel and Italy). Perhaps England will be a closer, possible destination. "I have had the pleasure of preparing for 3 concerts with Sarit, and have found her to be very knowledgeable and passionate about her craft. She communicates during rehearsal very clearly as to how the choir can obtain the sound she wishes, gives practical advice and instruction in voice training and runs an organized and productive rehearsal. I always feel that I have learned something new. I have very much enjoyed performing the concerts and believe they have been a success both musically and from an audience enjoyment point of view. Her conducting is expressive and ( as long as we all remember to look at her) she is able to draw out the best in us. I believe that we all have grown together in our experience! Thanks, Sarit." "As a local professional singer in Vancouver, I have found working with Sarit Aloni to be a very satisfying experience. She is the perfect combination of precision along with artistic interpretation. Practices are an enriching experience for everyone as she guides the choir in the most detailed musical elements, as well as helping us to understand the meaning and purpose of the music. Time is always used well, singers are challenged, and we have fun working hard. Sarit is a knowledgable, capable, and confident conductor. "My name is Peter Michael Munns. 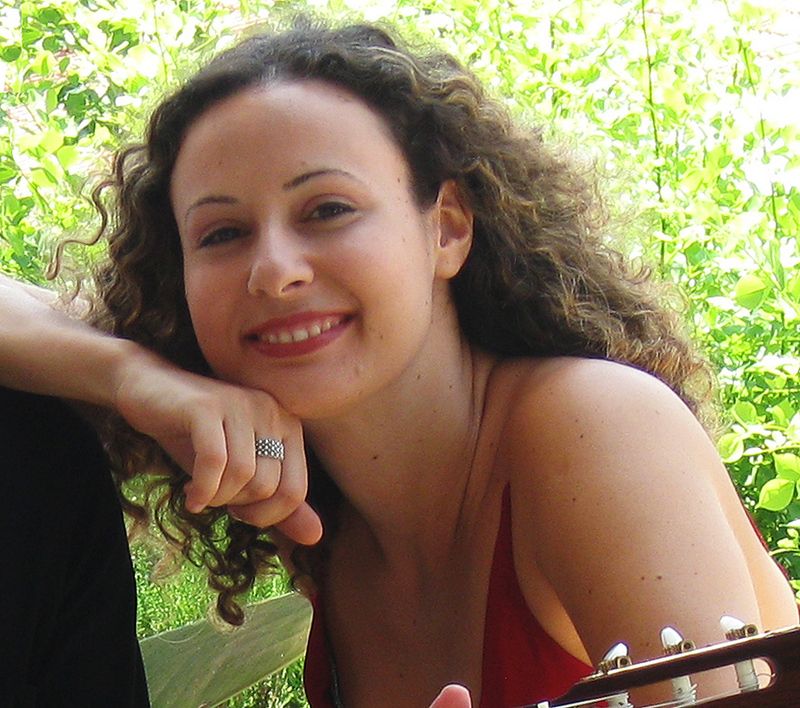 Sarit Aloni is currently the Musical and Artistic Director of the Vivaldi Chamber Choir. (Full name the Greater Vancouver Vivaldi Chamber Choir- Vivaldichoir.org). The choir is an amateur auditioned choir. I have been a member of this choir for eighteen years during which time we have had three Music and Artistic Directors including Rita Radzikowski who founded the choir. "Sarit is a dynamic, passionate conductor whose musical commitment is truly inspirational. I had the pleasure of working with her on Gabriel Faure's 'Requiem' and her leadership and communication was the cornerstone for the project, resulting in a truly stunning piece of art." "The last year and a half I have been singing in a choir directed by Sarit Aloni. She is musically very inspiring and I am continually surprised that I am constantly learning new things and having new insights - even if I have sung the music previously, and this, in spite of the fact that I have been a professional choral singer for many years. She has the energy and insight to shake me from my complacency and brings new life to the music with her passion and zeal. She is able to express in words what she wants musically, and demands it all from the start, and then to watch her conducting is to know what she feels for the music and one wants to then attain that level of excellence for which she strives." "Sarit is an outstanding singing teacher. Sarit is very knowledgeable and experienced in singing and music, and is excellent at explaining things in a way that is easily understood. Sarit easily sees and corrects the finest details of my singing and music theory; and always helps me to understand and know what I need to do to correct myself so I can improve. Sarit works hard during her lessons with me, and goes the extra mile in her teaching. I can tell she loves music and loves teaching by her high energy, focus and smile. Sarit has great methods and techniques for learning music that are creative and fun. I always leave my lesson feeling great! I am always eager to go home and do my home work and practice my singing; so I can return the following week and learn more from Sarit. When I originally met Sarit and finished my first lesson, it was like Wow! I knew I had found a great singing teacher and I was so happy. If you have any opportunity to take voice lessons or music theory with Sarit, do not hesitate. Sarit is outstanding! You won't be disappointed." "I learned from Sarit how to sing better, and how to sing in a choir. She is a voice teacher and conductor with high standards, who works hard to bring out the best in her students." "Sarit is a very talented choral director, focused in teaching good technique and obtaining a good sound from her choristers. I was a member of a Latin American choir that she directed, and I really appreciated her musicality: she has an innate sense of how music should sound, even in a style as ‘foreign' to her as Latin American choral music. One example of this was her ability to inculcate and transmit the very complex rhythms that are a feature of this music and that are not always easy to do, especially in the absence of accompaniment. Sarit certainly mastered them, and made the choir sound much better." "I was a part of the JCC Mixed Voices Choir from mid 2014 to 2015 in Vancouver BC Canada, organized and conducted by Mrs. Sarit Aloni. I found Mrs. Aloni to be extremely passionate and dedicated to her job, professional and cheerful to be around. absolutely rose to the occasion. Even though I’ve been around music for many years and can’t imagine my life without it, Mrs. Aloni taught me to better appreciate the effort and talent needed to be able to sing at a higher level, especially as part of a choir. "I really enjoyed singing with the Internationals Choir. The repertoire was wide ranging and we got to learn and perform songs from a wide range of genres, so it was always fresh and interesting. There were also many opportunities to perform and improve my confidence on stage. And most of all, Sarit was wonderful at teaching proper singing techniques to help improve my singing."